Jennifer Sterling Snodgrass is professor of music theory in the Hayes School of Music at Appalachian State University, teaching both undergraduate and graduate courses in music theory, aural skills, songwriting, and pedagogy. Dr. Snodgrass received her B.M. in vocal performance from Meredith College and her M.M. in music theory from the University of Tennessee. She was the first student to graduate from the University of Tennessee with a technology focus within the music theory curriculum. In 2002, Snodgrass earned a Ph.D. from the University of Maryland where her research focused on computer-assisted instruction and pedagogy. Her dissertation resulted in the publication of the InForm musical analysis software program. From 2006-2010, Dr. Snodgrass served as the research development officer for the Hayes School of Music, evaluating external funding in the performing arts. She has received numerous grants and awards in relation to technology and music instruction including grants from the Microsoft Corporation, Textbook and Academic Authors Association, Sigma Alpha Iota, and the Appalachian State University Research Council. Studies involving both pedagogical and theoretical research have been published in numerous journals including Journal of Music Theory Pedagogy Online, Sacred Music, The TI:MEs, Music Theory Online, College Music Symposium, and the Music Educators Journal . Snodgrass maintins an active presentation schedule, most recently presenting research at the national meetings of the Society for Music Theory, College Music Society, and the National Association of Schools of Music. Dr. Snodgrass has also received numerous awards in relation to excellence in undergraduate education, including the National DyKnow Educator of the Month, the Plemmons Leadership Medallion, the Outstanding Professor Award from the Appalachian Student Government Association, the Hayes School of Music Outstanding Teaching Award, and the College Music Society Innovations in Technology and Teaching Award. In 2016, Snodgrass was named Faculty of Distinction at Appalachian State and in 2017 was named an official quarter finalist for the Grammy Foundation Music Educator Award. 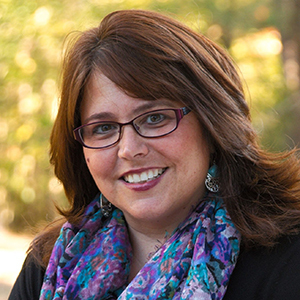 Jennifer Snodgrass is dedicated to research in music theory pedagogy. Along with Dr. Susan Piagentini, Snodgrass serves as the co-author of Fundamentals of Music Theory (Pearson, 2012, 2019). Snodgrass is also interested in developing specific pedagogies for teaching students enrolled in music industry and music business programs. The result of her research in this area is the text, Contemporary Musicianship: Analysis and the Artist (Oxford University Press, 2015, 2nd edition 2019). Contemporary Musicianship presents traditional music theory and analysis in a innovative manner, combining music history, popular culture, ear training, and composition in order to reach a broader audience, including the amateur musician and the music business/industry student. Her latest research endeavor, funded by the Appalachian State University Research Council, focuses on a field study of pedagogical approaches in both the AP and University Classroom. The result of this research is the culmination of the text, Teaching Music Theory: New Voices and Approaches, currently under contract with Oxford University Press (available in late 2019). The ongoing blog associated with the text can be found at https://bridgingthemusictheorygap.wordpress.com/. Snodgrass continues to be active in service as well. She is currently the co-chair of the national Student Advisory Board for the College Music Society and continues to serve the society on both the national and regional level in several capacities including the chair of the 2019 national program committee. Snodgrass serves as co-editor for the Journal of Music Theory Pedagogy and in 2018 was named the Assistant Director of the Gail Boyd de Stwolinski Center for Music Theory Pedagogy. Based on her expertise in technology and education, Snodgrass leads workshops on both the K-12 and university level and acts as a consultant for college and university music divisions . Jennifer Snodgrass lives in Western North Carolina with her husband Greg and daughter Katherine.